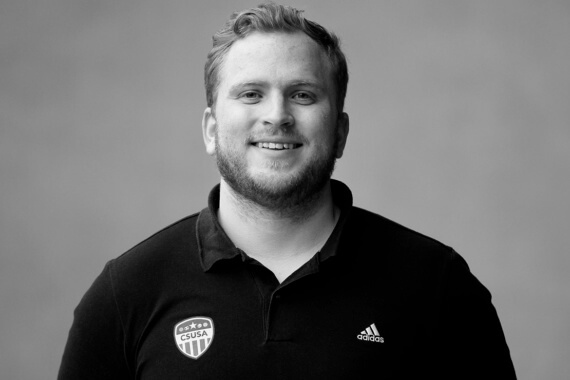 Markus Fodstad is a Recruitment Specialist working primarily with our Norwegian soccer players, tennis players and golfers. He has been part of Team CSUSA since August 2016. Markus Fodstad played college soccer for North Park University, located in Chicago Illinois. He had very successful career playing for the Vikings, which competes in NCAA D3. Off the pitch Markus had a steady GPA of 3.23 during his Bachelor’s degree, and a 3.68 during his Master’s Degree. Markus received his bachelor degree in Business Administration May of 2014, and his Master’s Degree (MBA) in December of 2015. At the age of 16, Markus signed a contract with Baerum SK in the Norwegian second division. He stayed there for two years, playing 6 senior games in the second division as well as gaining valuable 3rd Division experience with Baerum SK 2. He finished of his last year in Baerum SK`s U19-Team, while applying for schools in the U.S.
With help from CSUSA, Markus ended up at North Park University in 2011, playing soccer for The Vikings. In his four years playing for the Vikings, Markus scored 14 goals and had 12 assists. The Vikings participated in the NCAA-Tournament three out of the four years Markus was a player there. During his time at North Park University he got several awards including: “All-CCIW Second Team” and “CCIW Player of the Week”. The rivalry games between North Park University Vikings and Wheaton College was something special. We could play in front of 3,000 fans in the stands. One of the games were even broadcasted on National-TV.